Tonight was a special night at Yankee Stadium. The mathematically eliminated Yankees lost to the playoff bound Rays 4-0 but the sellout crowd didn’t care one bit about the outcome. September 26, 2013 was all about Mariano Rivera and his final appearance in the Bronx – and it was a baseball moment and I am thrilled to have witnessed. Mariano’s farewell tour has been going on all season with tributes and honors from every team. He was the main event at the All-Star Game at Citi Field, taking the field alone while receiving a standing ovation from players and fans alike. 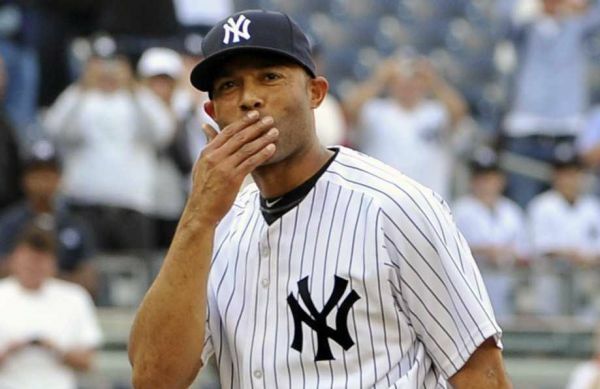 The Yankees had Mariano Rivera day on Sunday and even retired his number 42 before his official retirement. Mo was humbled by all of those honors but after all of those events, there was still more games to play. Tonight was different though. After tonight, he would never pitch at Yankee Stadium again. The game had that playoff atmosphere that the Bronx usually has this time of year except that the Yankees will not be in the playoffs. All of the energy in the building was for Rivera and by the time he started warming up in the 7th, everyone in the building was ready for their chance to say goodbye. So, I settled in to watch the greatest closer of all time, one final time. Of course he retired all 4 batters he faced. Then something unique happened as Pettitte and Jeter walked to the mound with 2 outs in 9th to take Mo out of the game. The reality of the situation began to sink in and Mariano became overwhelmed with emotion, crying on Pettitte’s shoulder. #42 received multiple standing ovations and he grabbed some dirt from the mound after the game. The fact that it wasn’t a save didn’t matter – it was still a perfect tribute to a great ballplayer and an even better person. I’m a Mets fan but I’ve never hated the Yankees and I’ve certainly never hated Mariano. He deserves all of the recognition he has received and I am happy to have watched him pitch over the past two decades. I watched his whole career and he’s one of the first legends to retire that I can say that about. So I took it all in. There was a palpable finality to the night. Everyone in the building was there for one reason – to say goodbye to Mariano. So after it was all over, a sadness seemed to come over the fans. The realization that someone else will be pitching in the 9th inning next year was hitting home. It was a special night and as a baseball fan, I am happy to have watched Mariano’s final home performance. It’s a part of baseball history that I will never forget.